Oh Boy! Am I a little behind or what? We're currently starting week 29! I'm just a wee bit behind. There just never seems to be enough time. So here's a fast and furious recap, because I'm pretty sure I can't even remember what we did. We were studying India. Um, that's about all I remember. I do remember the weather hit 70 and the kids had a water fight. Then it promptly got cold and snowed again. That meant I was able to take the kids sledding with Grandpa, while Daddy was freezing on a boy's ski trip in MN. Good times. 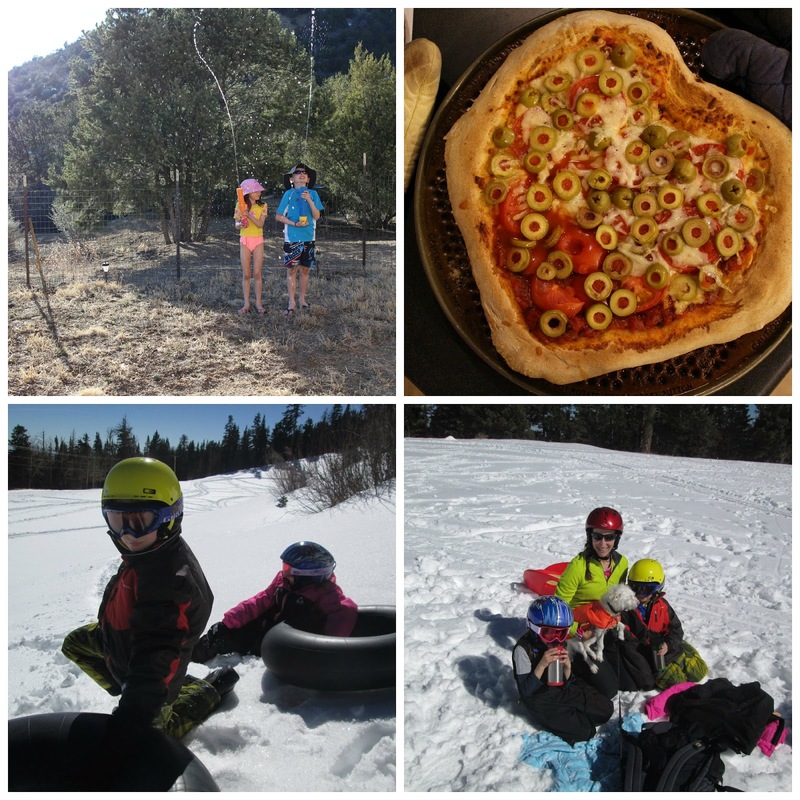 We celebrated Valentine's Day early with our yearly tradition of an olive pizza. It's an "Olive You Pizza." As in "I love you pizza." Get it? This was the first year that the girl actually got what the olive pizza meant. We've only been having this pizza for 16 years. The girl helped me make the pizza into a heart shape. And yes, there's a section that is cheese free. Some boy in this family (he shall remain nameless) doesn't like cheese. Strange child! In other school stuff....ahhh...oh, Magic School Bus. We watched the episodes of "Holiday Special" and "Meet Molly Cule." Loved them. I knew it was Dolly Parton in one of them! We skipped art this week. 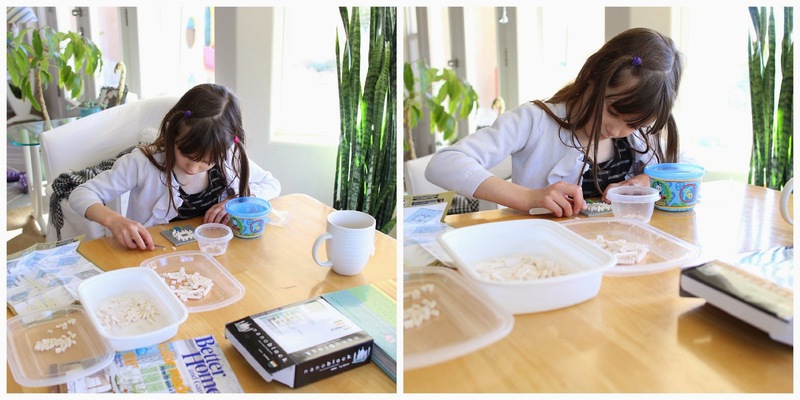 Except the girl did her usual crafting of random things. Still in India. We studied the Taj Mahal and read a book about it. It has quite the story about the ruler who built it! We even built the Taj Mahal out of Nanoblocks. We attempted art this week. Attempted. That's always the operative word. It was another failure of a project. We were suppose to make stone inlays. 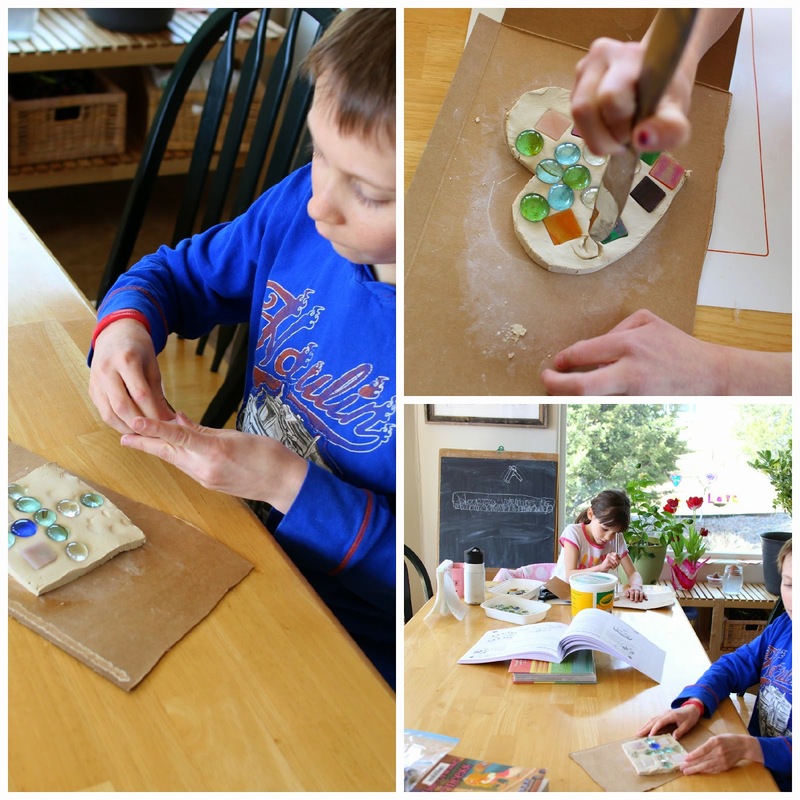 The kids made shapes out of self drying clay and stuck stained glass squares and pretty rocks in the clay. As the clay dried it cracked and the stones popped out. We're still thinking of laying their attempted pieces of our kitty's grave. It might make a nice marker. She'll have her own little Taj Mahal. We can call it Taj Belle. We watched one Magic School Bus episode, it was "Blows its Top." We also watched Planet Earth: Mountains. Of course we're still getting in our PE. 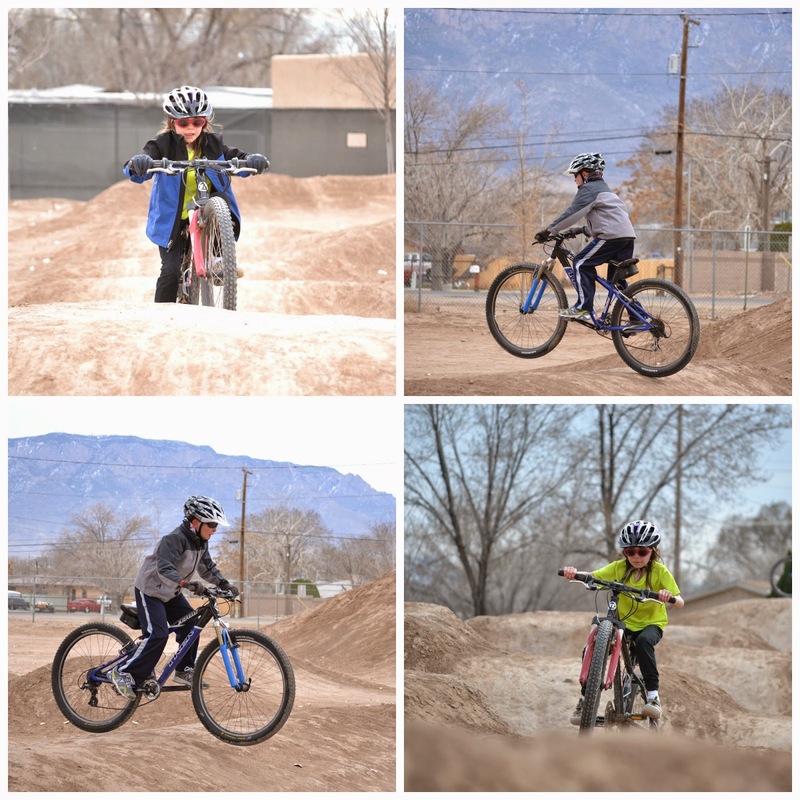 We can go from sledding one day to the bike park the next! There. Done. Now I still need to catch up. Ugh, this evil juniper pollen is getting to me. Anyone else dealing with spring allergies?